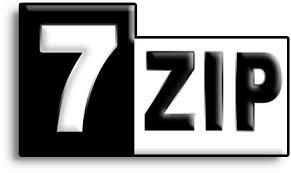 7-Zip is an open source file archive. It is undoubtedly called WinZip, WinRAR alternative.7-Zip is completely freeware high compression and decompression file archive software. It's a self-extracting capability for 7z format.You can use 7-Zip on any computer, including a computer in a commercial organization. You don't need to register or pay for 7-Zip.Download 7-Zip for Windows full offline installer setup for PC. You can easily Packing / unpacking your file such as different formats like only 7z, XZ, BZIP2, GZIP, TAR, ZIP and WIM extensions. But Unpacking only AR, ARJ, CAB, CHM, CPIO, CramFS, DMG, EXT, FAT, GPT, HFS,IHEX, ISO, LZH, LZMA, MBR, MSI, NSIS, NTFS, QCOW2, RAR, RPM, SquashFS, UDF, UEFI, VDI, VHD, VMDK, WIM, XAR and Z taz extensions any file formats.